Why is the Tick Population Rising? 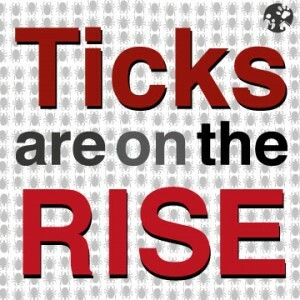 Home > Natural Insect Repellents > Ticks > Why Is the Tick Population Rising? If you’re an outdoor enthusiast or pet owner, you’ve probably noticed the large number of ticks this year. But what you may not have realized is that Ticks carry Lyme disease which is a health hazard to you, your family, and your pets. Lyme disease is a bacterial infection caused by the bite of an infected deer tick. Untreated, the disease can cause a number of health problems. Lyme disease rates have significantly increased in the northern states between 1992 and 2007 due to the increased population of ticks. But Why Is The Tick Population Rising? Climate Change: With warming temperatures and more unpredictable weather (especially in the northern states) ticks are showing up in places that were once thought to be too cold for them to survive. Typically, cold nights that are under 40 degrees would kill them off, but with that happening less frequently, ticks are surviving and multiplying. Changes in Bird Flight Patterns: The change in weather also has other effects that are causing increased tick populations, such as birds flying to new areas that are now deemed warmed enough for them to travel to and live. Ticks will attach to birds and travel through the air for long distances, bringing them to new places. It’s like a vacation for them, but not a vacation for those who have to deal with them! Increased Deer Population: Deer are a popular host for ticks, so it only makes sense that the more deer that are around the more ticks will be around as well because they have plenty of hosts to feed on. More Suburbs: New neighborhoods are popping up everywhere, and reaching further and further out into the wilderness. All this construction is causing confusion amongst the wildlife, as they begin to appear in the neighborhoods they once called home. This wildlife will have ticks on them, bringing them around the homes. Ticks aren’t picky when choosing a host, so if they’re around you and your dog they have no problem latching on for a meal. Wear Long Pants with Sneakers or Hiking Boots: We know it’s hot out, but tucking your pant legs into your socks and your shirt tucked into your pants can help keep ticks out. If you want to go a step further, duck tape around your ankles over your socks. You won’t win any fashion shows, but you will be tick free! Win some, lose some, I suppose. Spray your clothes and any exposed skin with DEET free insect repellent: Stop the ticks before they bite! Insect Repellent Natural Insect Repellent allows you to repels ticks and mosquitoes without soaking yourself in conventional pesticides. If you suspect there are ticks on your clothes, place them in the dryer on high heat: Ticks can survive the washing machine, even with hot water, but that can’t tolerate the dry heat of a dryer. Spray your yard with a natural tick treatment: You should use a natural alternative to conventional pesticides that will kill the ticks instantly and repel them from coming into your house in the first place. Check for ticks daily: Check for ticks every day, especially if you’ve just been outside so they don’t drop off and wander around your home. Looking for something to protect your pet? Try Flea & Tick Pets + Home to kill and repel ticks & fleas. Kill Ticks Now! 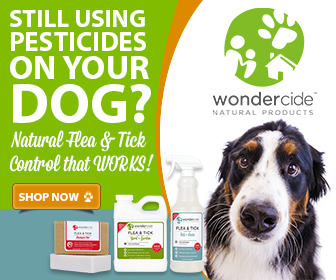 Use a natural tick treatment to kill ticks without conventional pesticides! I’m sure it’s starting to transmit bacteria sooner, but it’s not an infectious dose typically… There’s been an awful lot of experiments done to show that most of the time there is at least a one-day window before an infectious dose of Lyme disease has been transmitted from a blacklegged tick. My belief is that the major reason that ticks are on the rise (besides the 4 reasons listed), is that the chemicals that were once sprayed by very large airplanes back over wide areas in the 50’s thru the 70’s are no longer being used. These chemicals that were earmarked to kill mosquitos. Not only did the chemicals keep the mosquito and tick population down but unfortunately it also killed birds, small mammals,small reptiles, turtles as well being a major cause of cancer in us humans. To blame the deer population growth is ridiculous. I have lived in an area for 50 years, I have not noticed any huge growth. Matter of fact, I have seen less these past few years than 10 years ago. One of the main reasons for tick growth besides wet weather, is the fact that the Government agencies are not targeting them (as they do for mosquitos ) . Klos Jan, here in Manitoba the tick populations have been exploding in population size and range of habitat continuously for as long as I can remember, and mostly through sparsely populated regions. So I don’t think airborne insecticides play a major factor at all. It didn’t used to be like this, my entire life, until about the last 3 years. We used to be in the woods all the time. Never got ticks. Now we can’t set foot near the woods without picking up at least one, basically every time. It is much, much worse than it used to be in the Mid Atlantic. Dave, we agree. The last few years have been especially bad for ticks, and we encourage people to seek out safe, natural product to keep themselves (and their pets!) protected. Products like our Personal Insect Repellent both kill and repel ticks, and are safe to use for the whole family! I also don’t buy the increased deer population theory. We still have lots of deer here in NC but not as many as we had 10 to 15 years ago. I grew up playing in the woods everyday as a kid in the 80s and 90s and hardly if ever got ticks. I do remember from time to time having one but nothing like the past few years. I can literally walk 20 feet through the grass to house and have 2 crawling up my leg. It is just insane but there has to be some large factor contributing to their population increase. Changes in deer populations may have a larger impact in certain areas, though increased tick numbers can certainly have other factors. Warmer weather, increasing development into rural areas, and several other factors can also play a big part!